When summer hits the idea of switching-up my colour starts to bounce around my brain and it doesn’t stop until I do something about it. I’ve been an light brown ombre for a while now— and by a while I mean a year. I decided it was time to freshen up my ombre or at least try something new. I’m always a little wary about finding a new salon because you never know what can happen. So I took to the internet for research and came upon Colour Lab 12. 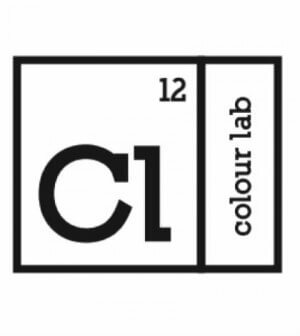 Colour Lab 12 is Canada’s first colour-only hair salon. The brains behind the operation are Jean-Charles, Heather and Raphael Azran (combined they have over 60 years experience in the hair business!). Raphael is a graduate of Vidal Sassoon Los Angeles, and has been in the “biz” since he sold his first hair brush at the ripe old age of 9.” Colour Lab has flipped the hair salon model on its head to offer faster processing times and affordable prices— no more four hours in the salon! 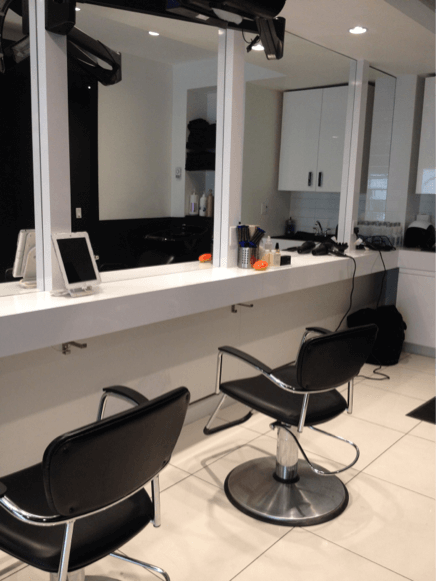 Clients can blow dry their own hair at the blow-dry station after. I find this genius— so many people go to the salon and then just re-do their hair themselves at home. I made an excursion to Colour Lab’s Rosedale location for a consultation. The salon is gorgeous and sleek, with black and white walls and an amazing color-test-tube chandelier in the entryway. Each chair has an iPad— brilliant! I find I’m always looking at magazines from 4 years ago at the salon. Everyone was extremely friendly and laid back. Raphael told me we could lighten up my hair to an ashier blonde and even add some lavender dip-dye to the ends, which I’m totally in to. Did I mention that they have their own hair care line? They super reasonably priced and are SLS and phosphate free AND made Ontario. 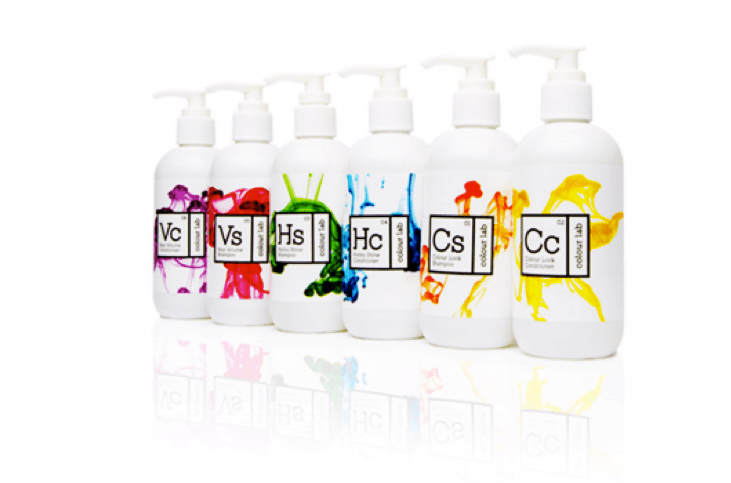 Colour Lab’s two-year anniversary is coming up and they’ve opened a new location at 1240 Bay St. The colour accelerator they use intrigues me, and they say a lot of clients love it. It “keeps your hair in an ideal environment, speeding up the colouring process and putting you in the fast lane to fabulous.” Sounds like something I’m in need of this summer! So if you want people passionate about colour then I would recommend heading to Colour Lab. You can book online or over the phone— they want to make it convenient for you! Take a look at their Menu and prepare to be fabulous. I’ll keep you posted on my hair journey! 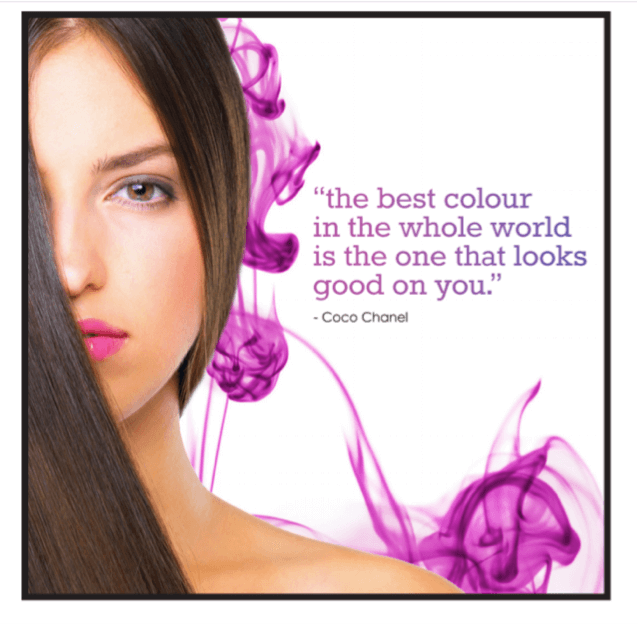 But in the meantime check out Colour Lab!